PDP were recently kind enough to send me out another batch of brand new Pixel Pals to review for the blog. Not only that, but this short review will also see you guys in the UK/Ireland having the chance to win a few for yourselves at the end of this post. No skipping to the end though, I will be checking up on this. I know us guys over here in the UK find it hard to find the latest characters, so the chance to give you guys something other than the Batman in your local GAME store or paying way over the odds on places such as Amazon was something I want to do when covering them. 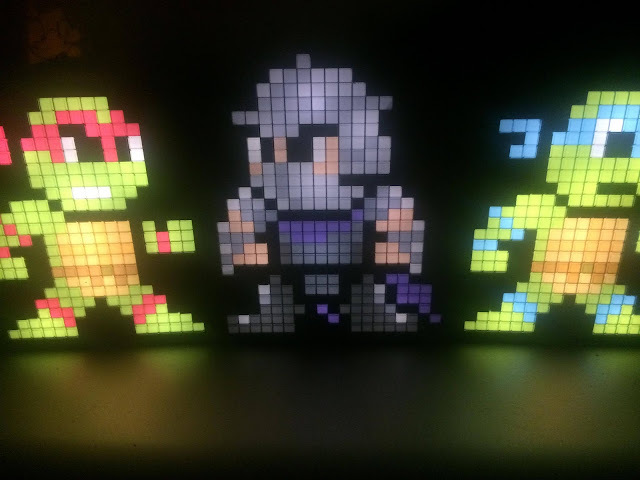 For those not clued up on the Pixel Pals by now, these are cool gaming, movie, TV show related characters which also do a fine job of being a decent little display light for those who love to collect cool things like this. Yeah, we're supposed to play games and such with a great big light on, but when it comes to chilling out (in my case when the kids go to bed), you can't beat turning all the lights off and slapping on a headset to give yourself some quality time with a loved one, by which I mean your game console, and having a few of these on to fully put you in a zen place. Now, I've reviewed Pixel Pals in the past, and this review will pretty much be the same as before I'm afraid, just this time with different characters used in the images you find in this post. I'm not ashamed to say I love these products, with PDP being kind enough to help me fill up a small shelf of characters I've grown up with, with the likes of Mario, Sonic, Master Chief, to comic related characters such as Joker and Batman ll now available. You can find the whole collection by clicking on the Pixel Pals website link found at the end of this post, but this post today will be looking at the current Teenage Ninja Mutant Turtles collection and Dragonborn from Skyrim. While this should be a lot of words telling you how good these items are, the fact is pictures of it are more than enough, as anyone who looks at TMNT fondly will instantly want to go out and buy them purely after seeing the image below. The characters available in the TMNT series sees Leonardo, Raphael, Shredder, and a Foot Soldier all currently available to buy, but I'm pretty sure it won't be long until we see the likes of Donatello, Michelangelo, and Splinter joining them. 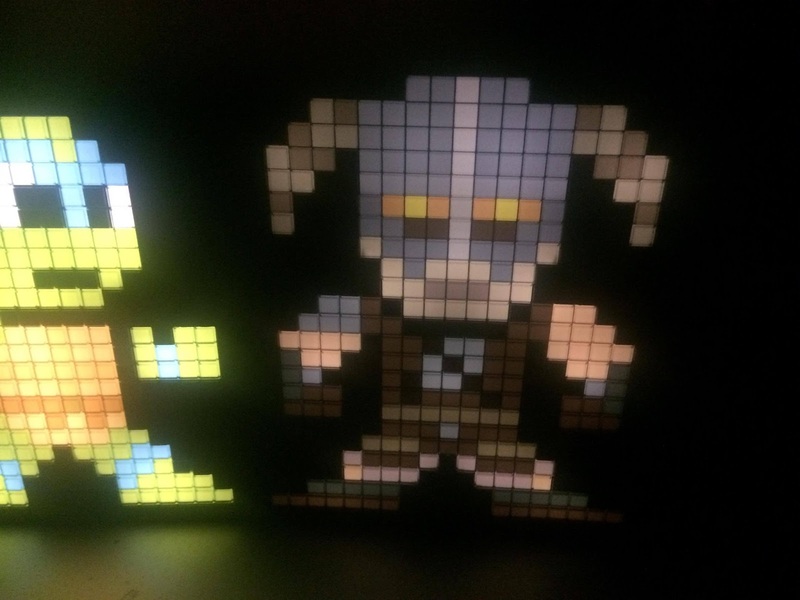 Not being as much into Skyrim as some are, Dragonborn sort of became one that slotted into an area at the back of the Pixel Pals man corner, and it wasn't just because it was a character that I don't have a connection with. If I had one little niggle with the current set I was sent, it would be that darker pieces of the characters don't tend to go that well with what is essentially a light. They still look good, don't get me wrong. 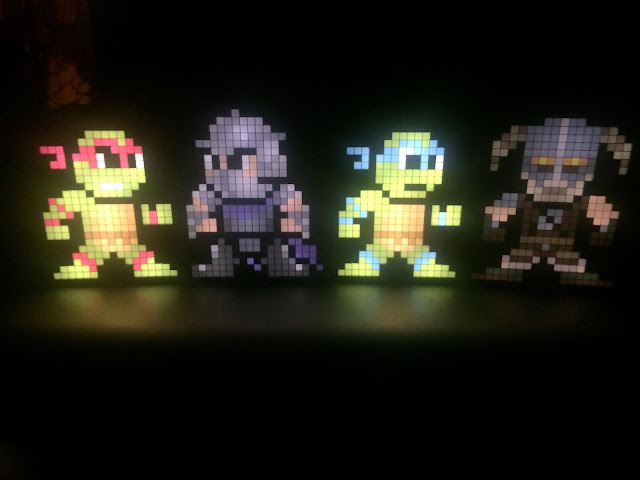 But while both Leo and Raph had a lovely pop on them, Dragonborn and Shredder lacked that little something when sitting next to them, giving a look as if your batteries were low and not having that wow factor to them. That said, of course, you will need all of them to have a nice lovely set sitting on your gaming shelf, but I have to give my honest opinion here. So to wrap things up, yeah, I bloody loved them. At the time of year when you have no idea what to get that gaming guy/girl in your life who has every game on the planet, this would be a lovely little stocking filler for them (it's still November, what am I doing here?) While my American readers will have no problems jumping on the Pixel Pals website and ordering. UK people, just hunt the best you can, and tell the Pixel Pals account on Twitter you would love to be able to get them easier by tweeting them here.